It can be difficult to obtain financing on some condominium projects in Mammoth Lakes. Specifically, if a project is classified as a “condo-tel” financing can be challenging but not impossible. The name condo-tel is a combination of condominium and hotel and is generally defined as a condominium project that is operated as a hotel with a lobby, registration/front desk, cleaning services and more. 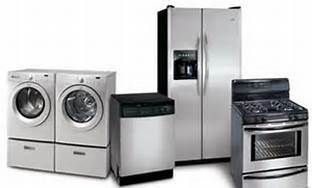 The units are individually owned but owners have the option to place their unit in an on-site rental program where it is rented out like a hotel room. There are dozens of these type projects in Mammoth Lakes. Financing on these types of properties started to retract in 2008 due to the view by many institutions that larger than normal losses or defaults were tied to condominium loans. Ownership in a condo-tel is most generally a second or third home. Although traditional lenders are not an option, non-traditional options are available – you just need to know where to look. In most cases, as long as there is one-bedroom and at least 500 square feet, you can get a loan. A minimum 30% deposit is generally required and although the rates are competitive, they do tend to be slightly higher than what you might be able to secure on a 30-year fixed loan on your primary residence. Your real estate agent should be able to advise whether a project is classified as a condo-tel and provide financing options. What is the Mammoth Lakes Transient Occupancy Tax? Transient Occupancy Tax (TOT) is a 13% tax that is paid by the guest to the operator of the transient facility at the time the rent is paid. The Town of Mammoth Lakes is responsible for the collection of transient occupancy taxes and has a team dedicated to providing effective TOT enforcement and revenue collection services. It is basically a pass-through tax paid by the guest and passed on to the Town. TOT makes up approximately 60% of the Mammoth Lakes General Fund. The monies fund services such as snow removal, recreational programming and road maintenance. There has been a lot of press in the last year about the TOT. Keep in mind the full-time resident population of Mammoth Lakes is around 8,200 and we have 30,000 – 60,000 visitors over peak periods. A few simple calculations and it is easy to see why TOT is so important. The major challenge over the years has been enforcement. TOT existed and although the property management companies complied, many of the VRBO (vacation rental by owner) did not. Quite frankly most people knew it was illegal to not remit the TOT to the town but there were no consequences for not complying. To make matters confusing, there are some areas of town where transient rentals are not allowed. Most of these are single-family homes in residential neighborhoods. Again, with no consequences for not complying with the zoning requirements there is illegal activity. In 2012, city officials along with Town Council, implemented a few things to help the situation. The team was formed to educate, enforce and collect TOT. Informational articles and advertisements were placed in the local papers, letters were mailed to homeowners, a hotline for questions and reporting illegal activity put in place, and informational meetings were held in the community. In addition, a new local disclosure was implemented for use by real estate agents to inform property buyers of the TOT and the zoning of the property they are purchasing. A website was launched (https://gis.mono.ca.gov/tot) where after entering the property address, the zoning information detailing whether transient rentals are allowed is displayed. Additional information (including the full ordinance) can be viewed at http://www.ci.mammoth-lakes.ca.us/index.aspx?NID=201. While most individuals are focused on the fluctuation in current housing prices, many are failing to recognize the large role interest rates play in the monthly, yearly and overall cost of their real estate purchase. Although interest rates have been increasing lately, they are still near historic lows in the United States. The average 30 year mortgage interest rate had a very slight increase to 4.60 percent the week ending August 6, from 4.58 percent last week. Last year at this time, the average was 3.76 percent. This presents a significant opportunity for those looking to purchase a primary residence or investment property. 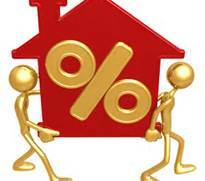 It is hard for me to imagine that my husband and I bought our first home in 1984 at an interest rate of 13.25 percent! While qualifying is currently much harder than it has been in previous years, those with adequate credit and income are having no problems. The chart below shows several different purchase prices and their corresponding monthly payments at different interest rates. Small differences in the rate can make and a large difference in the monthly payment and an extremely large difference over the life of the loan. While most buyers are very concerned that the housing market will drop several additional percentage points, a raise in interest rates could cause them to pay significantly more. For example, let’s assume a buyer purchases a $300,000 home and puts 10% down. If their loan was currently at 4.5% and fixed for 30 years, their monthly principal and interest payment would be $1,368. If rates escalated to 5.5% their monthly payment would raise to $1,553. They would be paying an additional $185 a month and $2,200 in interest every year. Over the life of the loan that would be an additional $66,000 in mortgage interest. Housing prices would have to drop an additional 10% to equal the same principal and interest cash output over the life of the loan caused by just a 1% rise in interest rates. Mortgage rates are just one of many items to consider when making a real estate purchase, but it is amazing to see the large scale effect they will have on the overall cost of the property. While there is no crystal ball to predict the future, it is very likely that rates will rise and home prices will flatten out and eventually rise. Vesting, or how to hold title to real estate, is important for estate planning and tax reasons. Each state in the U.S. has its own vesting rules. When you purchasing real estate, you should consult with an accountant or tax attorney before the sale closes and the deed is recorded. Disclaimer: I am NOT a CPA, tax professional or attorney but as a real estate broker/agent in California can provide an overview of some of the options. Title to real estate in California may be held by individuals, either insole Ownership or in Co-Ownership. Co-Ownership of real property occurs when title is held by two or more persons. There are several variations as to how title may be held in each type of ownership. The following brief summary highlights eight of the more common examples of Sole Ownership and Co-Ownership. 1. A Single Woman/Man: A woman or man who is not legally married. Example: Jane Doe, a single woman. 2. An Unmarried Woman/Man: A woman or man, who having been married is legally divorced. Example: Jane Doe, an unmarried woman. 3. A Married woman/Man, As Her/His sole and Separate Property: When a marred man or woman wishes to acquire title in her or his name alone, the spouse must consent, by quitclaim deed or otherwise, to transfer thereby relinquishing all right, title and interest in the property. Example: Jane Doe, a married woman, as his sole and separate property. 4. Community Property: the California Civil code defines community property acquired by husband and wife, or by either. Real property conveyed to a married woman or man is presumed to be community property unless otherwise stated. Under community property, both spouse have the right to dispose of one half of the community property. If a spouse does not exercise her/his right to dispose of one-half to someone other than her/his spouse, then one half will go to the surviving spouse. If a spouse exercises her/his right to dispose one half, that half is subject to administration in the estate. Example: John Doe & Jane Doe, husband and wife. Example: Jane Doe, a married woman. 5. Joint Tenancy: a joint tenancy estate is defined in the Civil Code as follows “A joint interest is one owned by tow or more persons in equal shares, by a title created by a single will or transfer, when expressly declared in the will or transfer to be a joint tenancy.” A major characteristic of joint tenancy property is the right of survivorship. 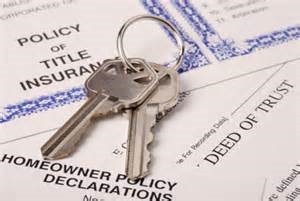 When a joint tenant dies, title to the property immediately vests in the surviving joint tenant(s). As a consequence, join tenancy property is not subject to deposition by will. Example: John Doe and Jane Doe, husband and wife as joint tenants. 6. Tenancy In Common: Under tenancy in common, the co-owners own undivided interests, but unlike joint tenancy, these interests need not be equal in quantity or duration, and may arise at different times. 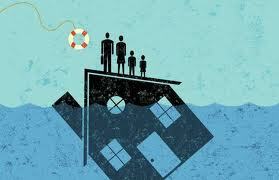 There is no right of survivorship; each tenant owns an interest which, on his or her death, vests in his or her heirs. Example: John does, a single man, as to an undivided 1/3 interest, and Henry Adams, a single man as a n undivided 2/3rd interest, as tenants in common. 7. Trust: Title to real property in California may be held in a title holding trust. The trust holds legal ad equitable title to the real estate. the trustee holds title for the trustor/beneficiary who retains all the management rights and responsibilities. 8. Community Property with Right of Survivorship: Community Property of a husband and wife, when expressly declared in the transfer document to be community property with the right of survivorship. and which may be accepted in writing on the face of the document by a statement signed or initialed by the grantees, shall upon the death of one of the spouses, pass to the survivor, without administration, subject to the same procedures as property held in joint tenancy. 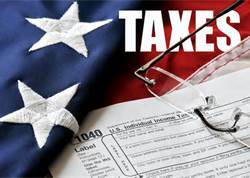 I strongly recommend you seek professional counsel from a CPA, attorney or tax professional to determine the legal and tax consequences of how title is vested. What is Strategic Default in Real Estate? Consciously or knowingly ceasing to make mortgage payments is called strategic default. There are many people that knowingly stop paying the mortgage because they cannot afford to continue to do so, and there are others that opt to stop because they believe that this might accelerate their short sale or their loan modification. Borrowers need to understand the consequences of their actions. 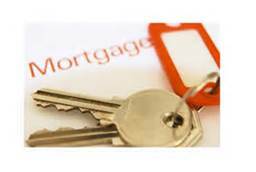 Late mortgage payments impact your credit score and thus, they also impact your future ability to borrow. Some homeowners also stop making their Home Owners Association (HOA) payments. This can often be a short sale deal killer. Short sale lenders do not like to pay the seller’s unpaid HOA balance and often will only allocate a small amount of money for HOA document and transfer fees. Most experts advise short sale sellers to continue to pay the HOA dues whenever possible. Whether to continue to make the mortgage payments or HOA dues is a personal decision that can only be made by the borrower. Understanding the consequences of the late payments can often help to make a more informed decision.